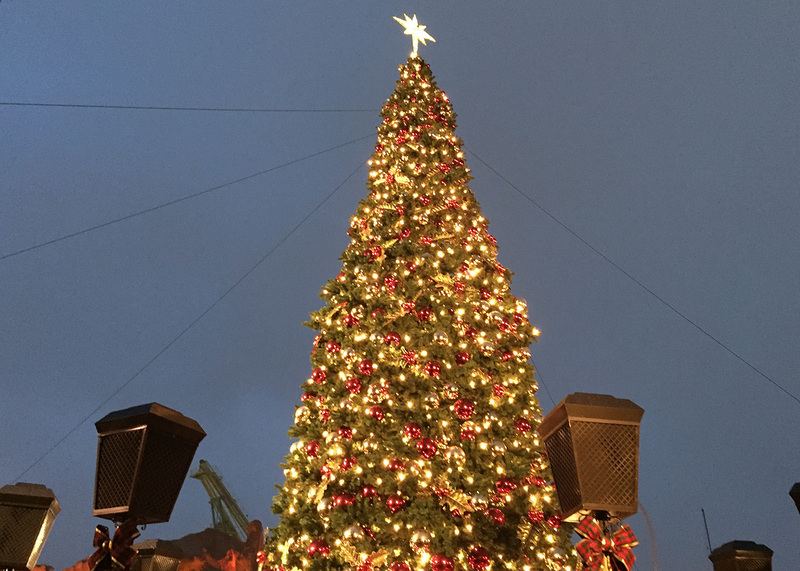 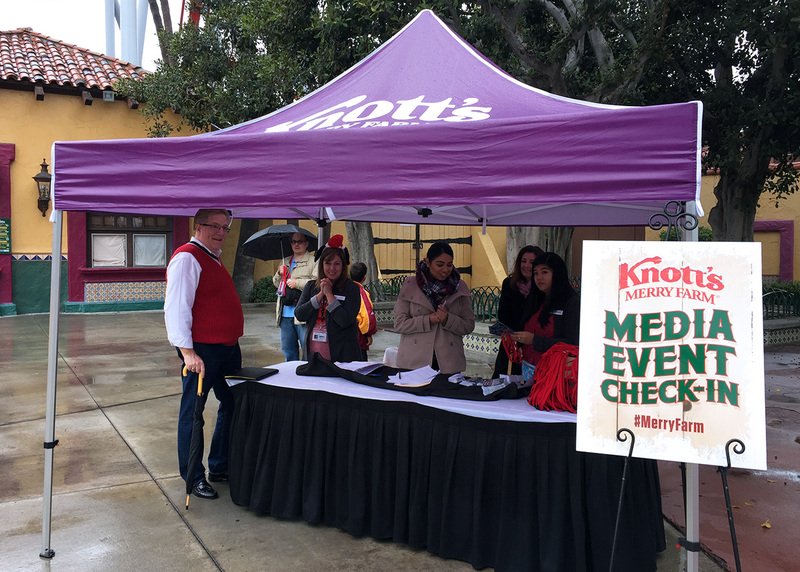 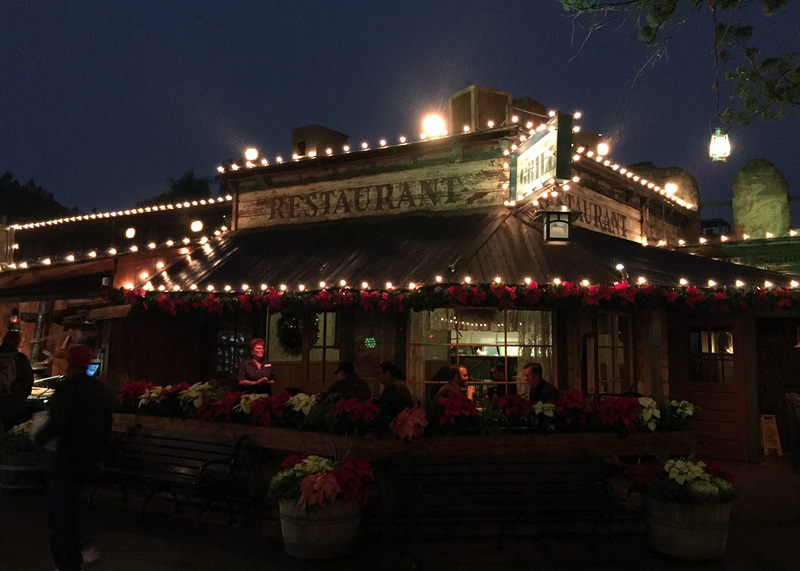 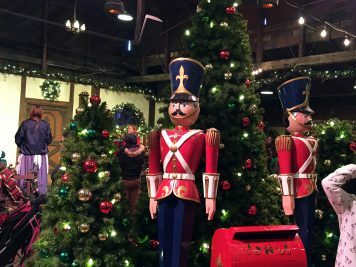 The 2016 Knott’s Merry Farm event is up and running, spreading some serious holiday cheer at Knott’s Berry Farm. 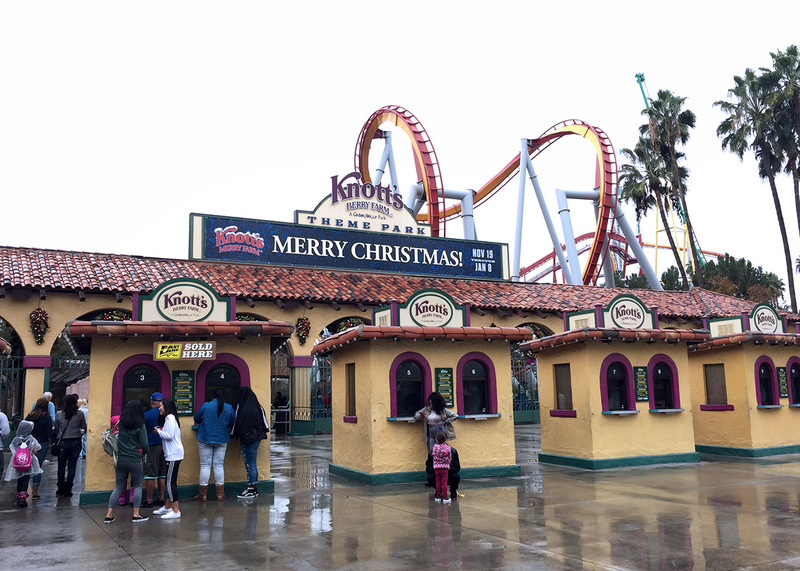 Located in Buena Park, Knott’s Berry Farm has a long history of holiday-inspired events, most recently in the form of its “Scary Farm“. 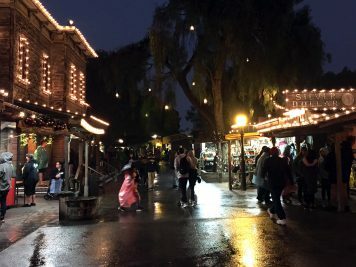 But enough about the frights – now it’s time to look at holiday delights (please blame rhyming on the Hamilton soundtrack I am listening to). 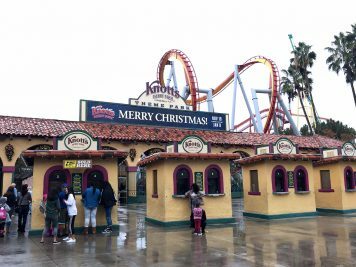 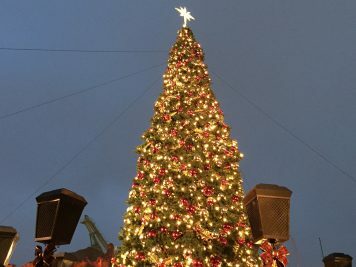 Knott’s Merry Farm features a ton of holiday treats for family members of all ages. 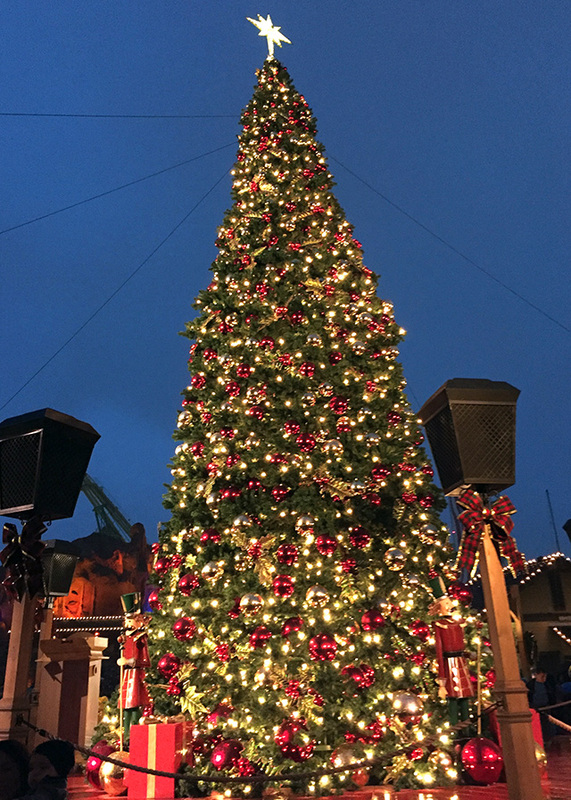 This year, the Merry Farm sees several shows for guests to enjoy such as the annual Christmas ice show. 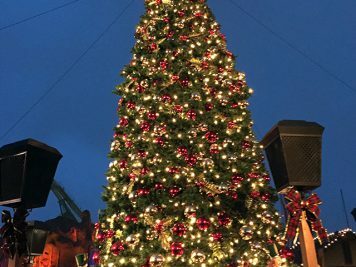 It’s amazing as ever and the skaters are to be commended for their performances. 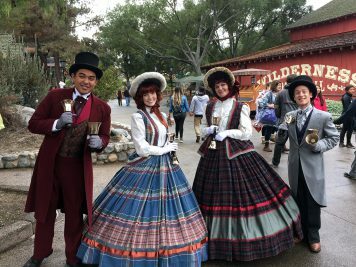 Walking around the park again this year are the carolers – something I wish the “park down the road” (i.e. 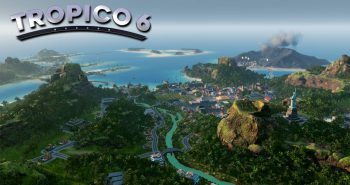 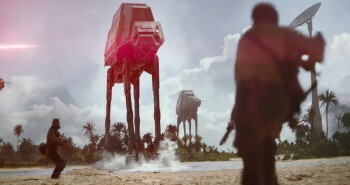 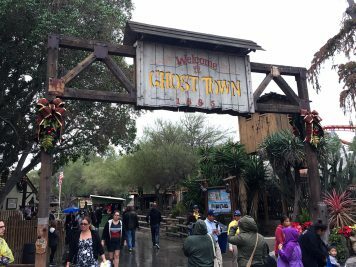 Disneyland for the non-Southern Californians here) would implement, but I digress. 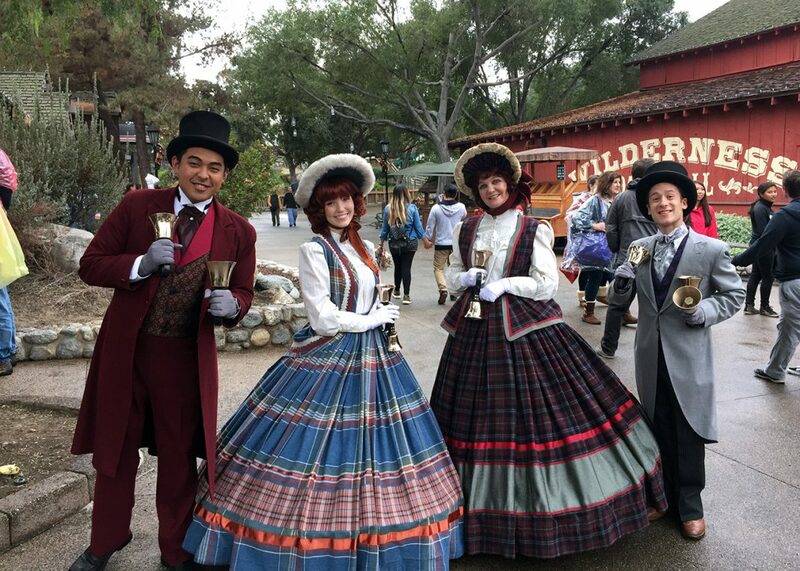 The Calico Saloon Christmas Show is back in the Calico Saloon and is, as always, a fun hoedown of a time while It’s the Merriest Christmas Show Ever, Charlie Brown graces the new Calico Mine Stage. 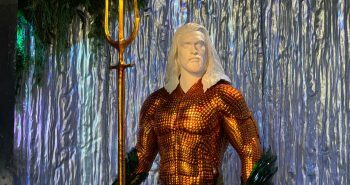 Of course, during Knott’s Merry Farm, the rides are still in operation so you can get on the renovated Calico Mine Ride and Log Ride or head over to Camp Snoopy so the kids can enjoy some kid-focused attractions. 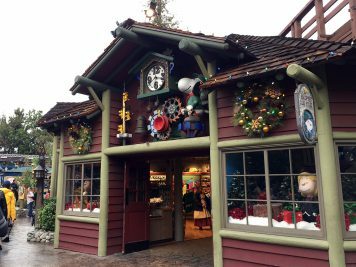 Santa’s Christmas Cabin returns with its array of treats. 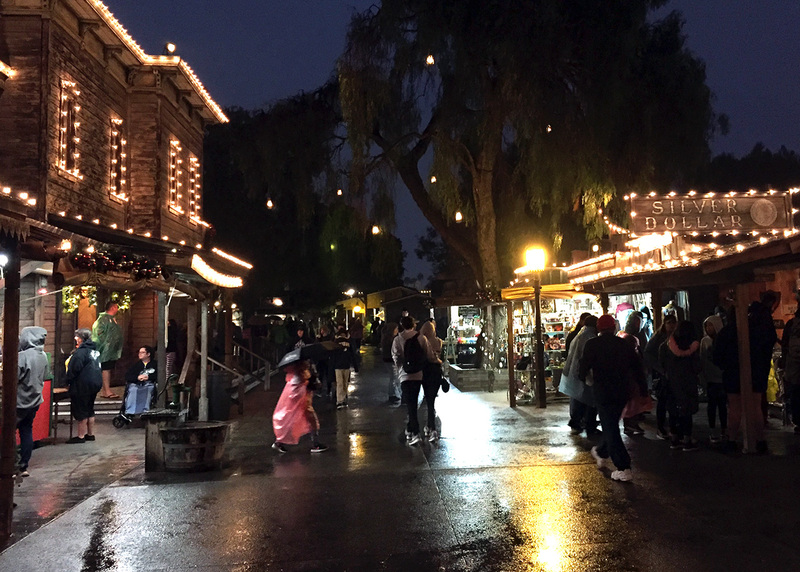 Pastries, cookies, egg nog, milk, and a lot more are available for your enjoyment. Unfortunately, the amazing cinnamon rolls of four years ago have yet to return, but I keep hoping! 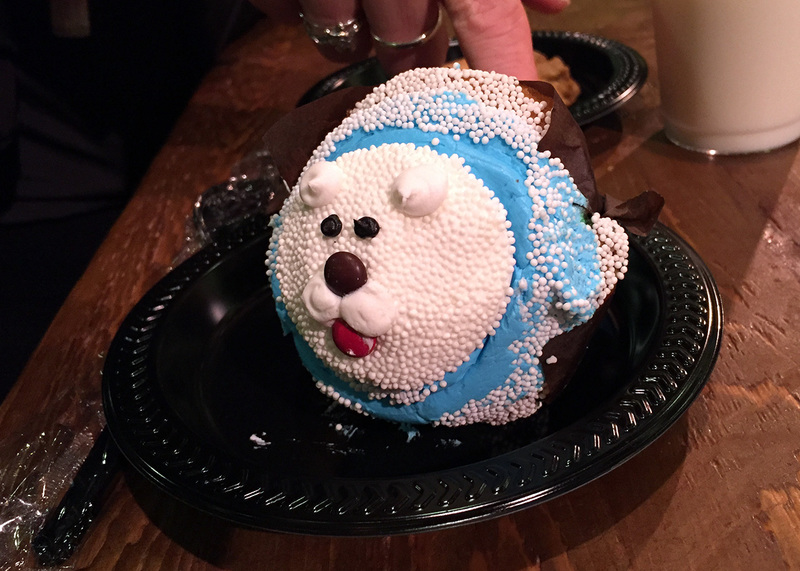 I highly recommend getting a polar bear cupcake at the pastries booth, followed up with some hot chocolate! 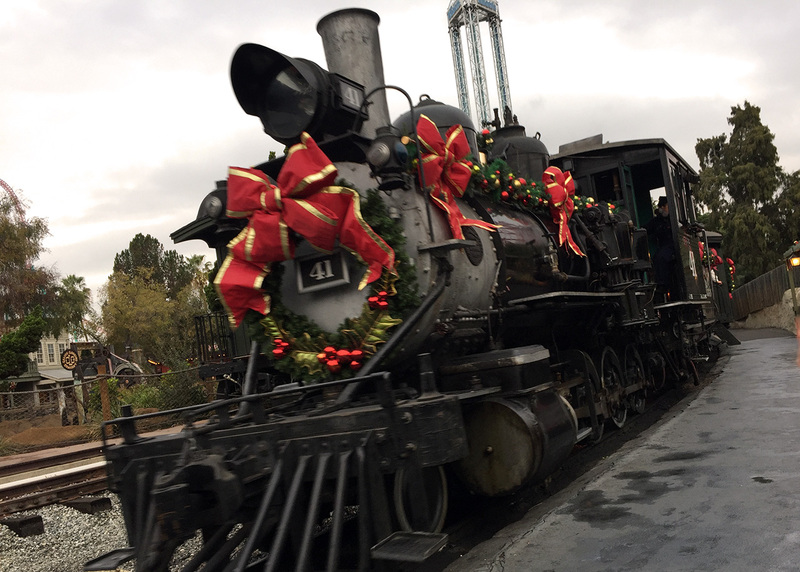 It’s a great pairing for a wintry sort of day – especially if this crisp, cold Southern California weather we are having keeps up. 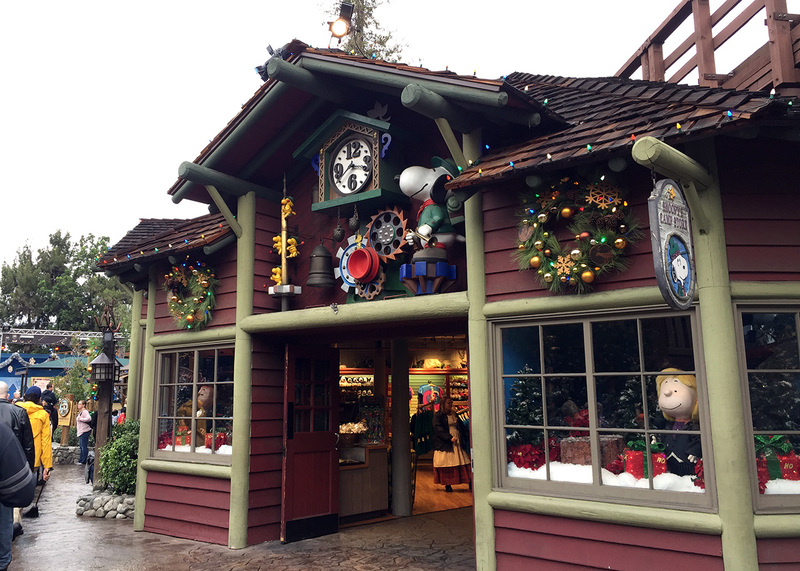 Also inside Santa’s Christmas Cabin is, well, Santa! 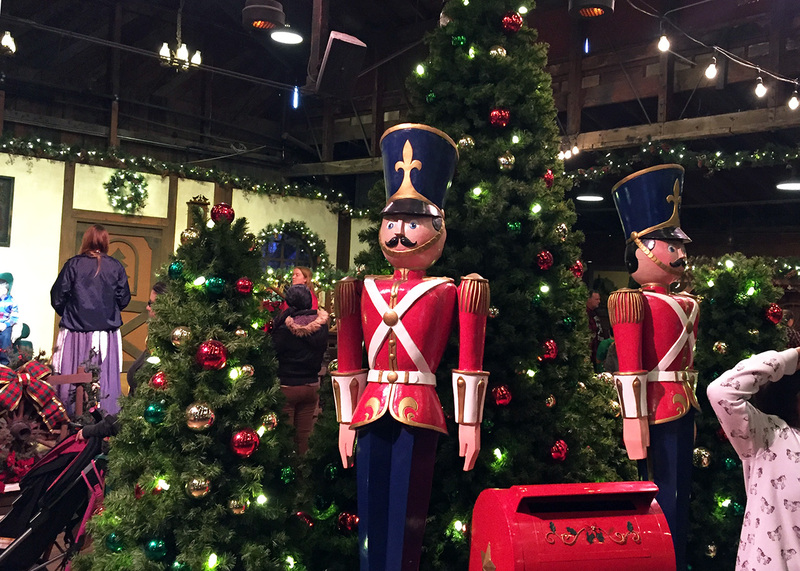 You can take pictures with the “jolly big guy”, and the little ones can tell him what they want for Christmas. 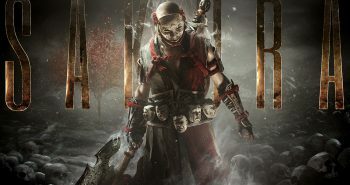 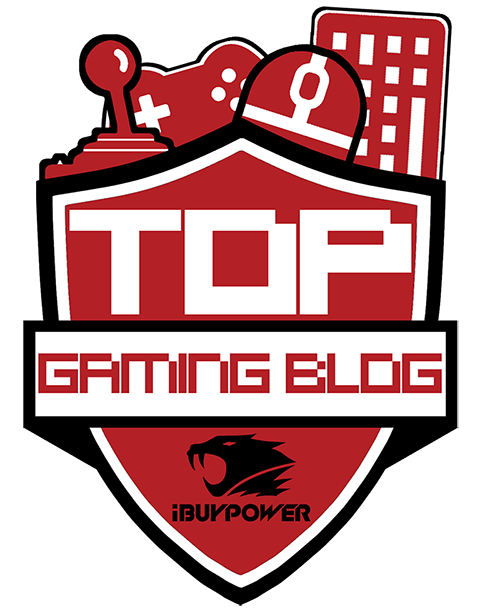 Even though the Ghost Town Grill is not a seasonal restaurant, I wanted to make sure to give it a special mention in my write up of the Merry Farm. 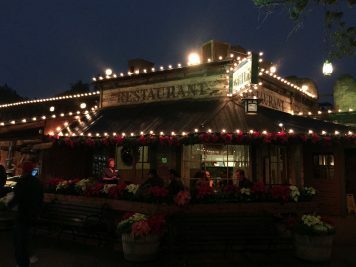 Being able to sit outside on the small patio while eating a piping hot bread bowl of beef stew is something that I wish everyone could experience. 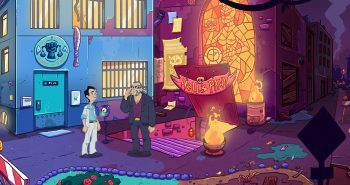 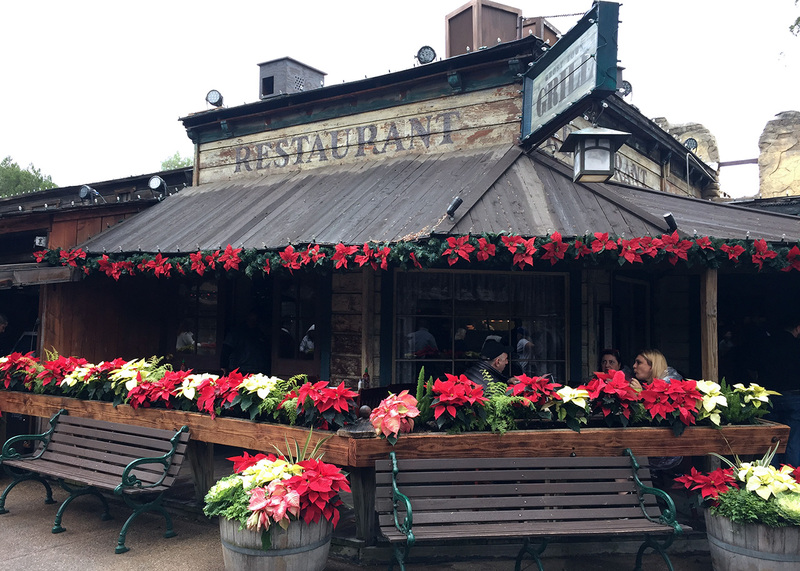 The sights and sounds of Ghost Town are beautiful, and the patio is a great place to people-watch. There are several lunch dining options at Knott’s Berry Farm, but I have to recommend everyone try the Ghost Town Grill during your adventure. 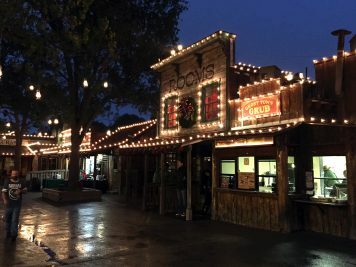 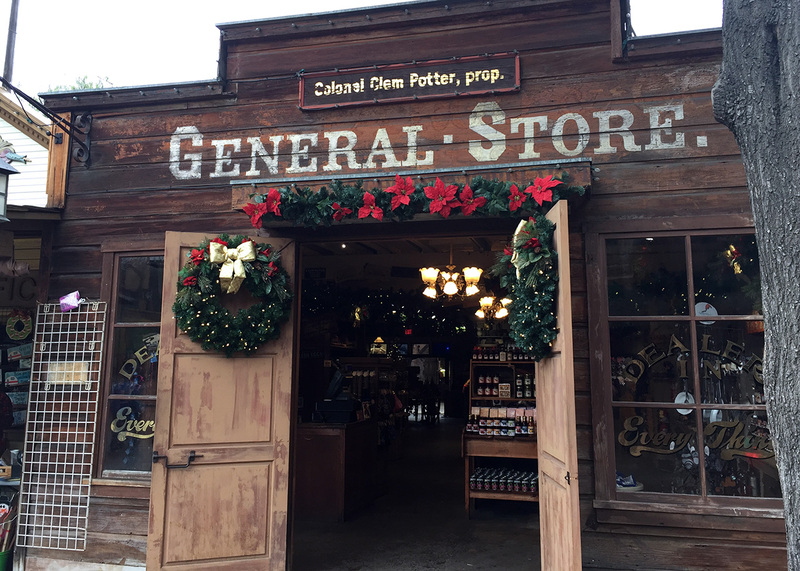 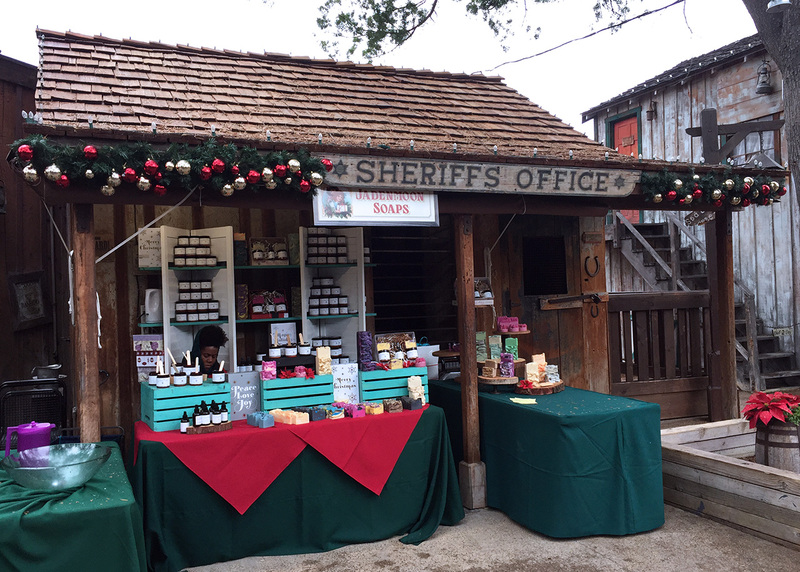 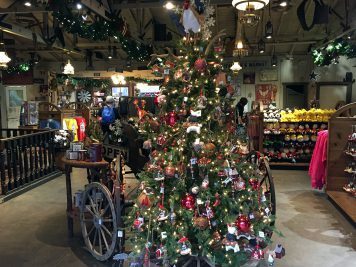 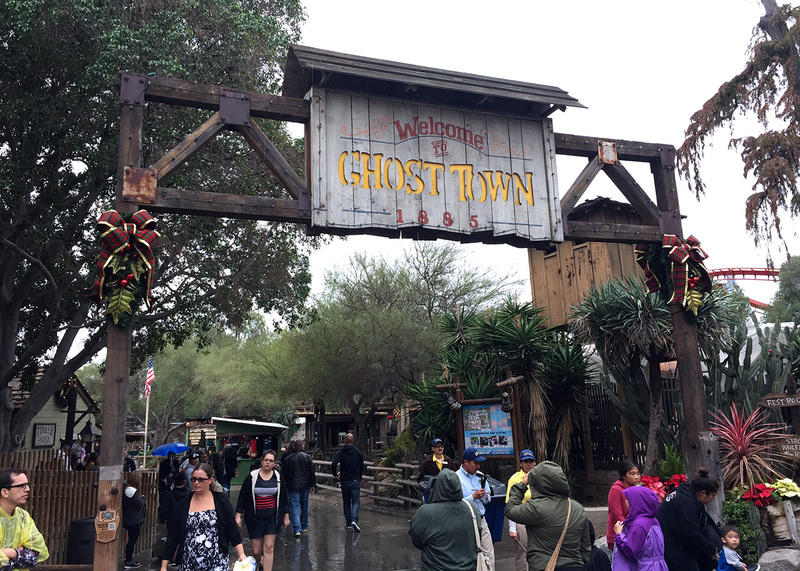 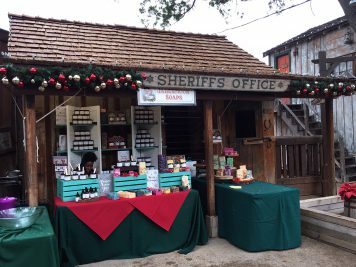 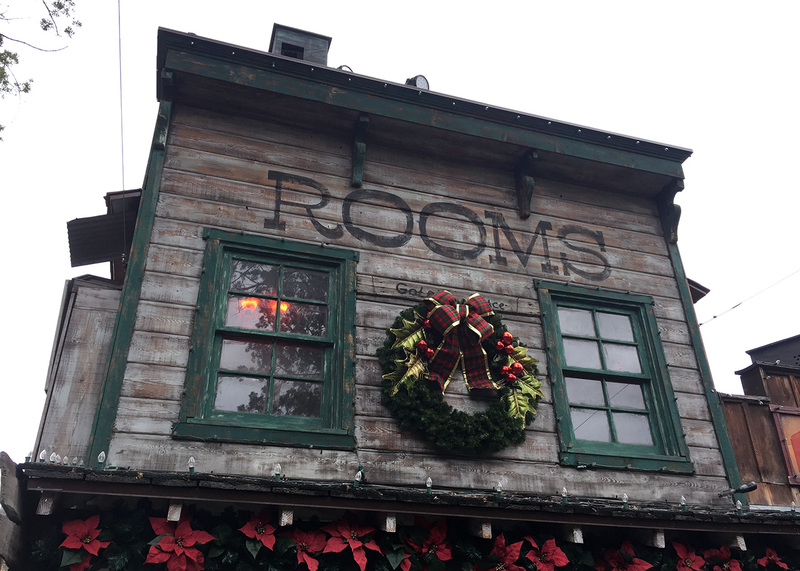 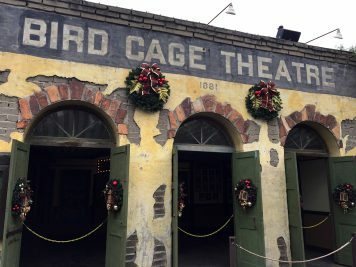 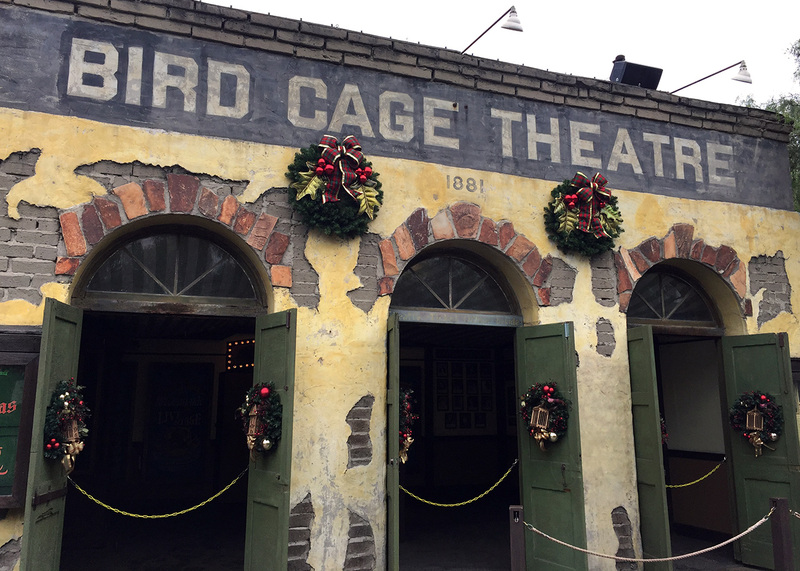 All throughout Ghost Town, you’ll find the Christmas Craft Village where Knott’s Berry Farm has brought in a variety of vendors to show off their wares. 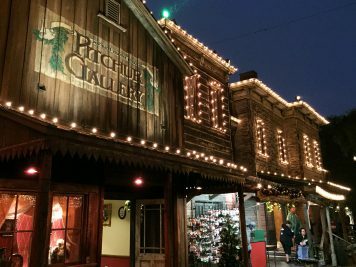 There are artisans of every kind in the craft village and you’re sure to find some great holiday gifts for you and yours. 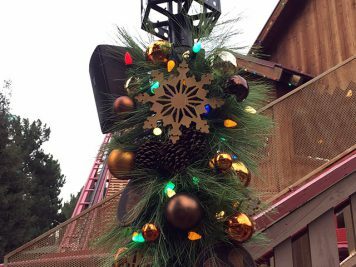 During our visit, I purchased a couple of nifty handmade ornaments as well as a fun Christmas sign to put our in my yard. 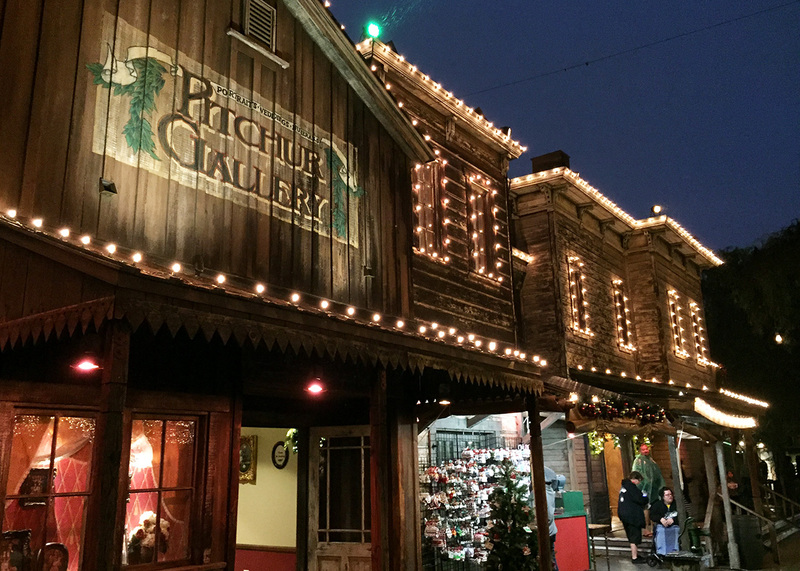 It should be noted that, for a discounted price, you can purchase a ticket to visit just the Christmas Craft Village. 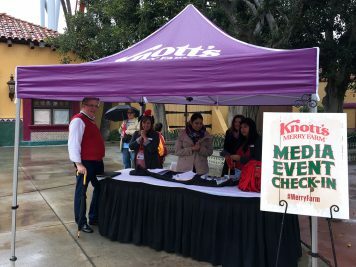 Overall, Knott’s Merry Farm is a fun time for young and old alike. 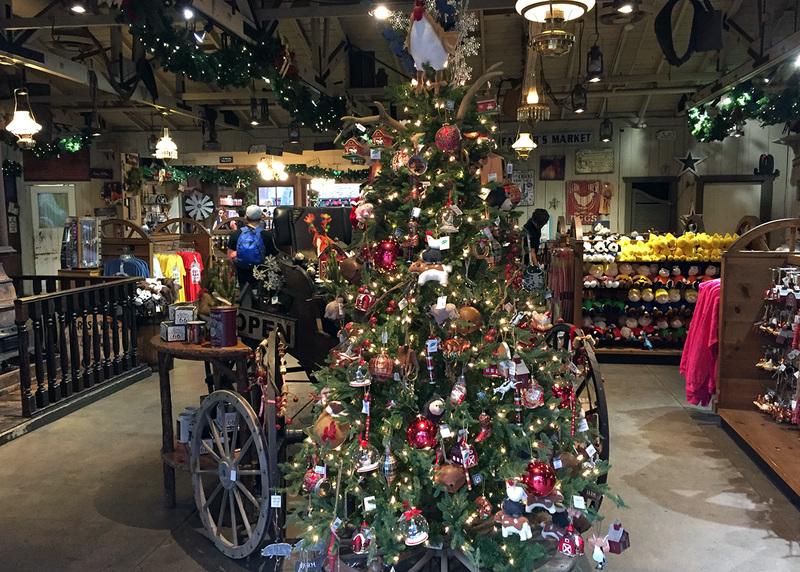 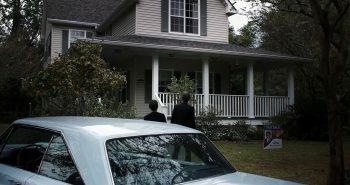 It’s a down-home Christmas celebration that exudes Americana and holiday cheer out of its every ribbon and ornament! 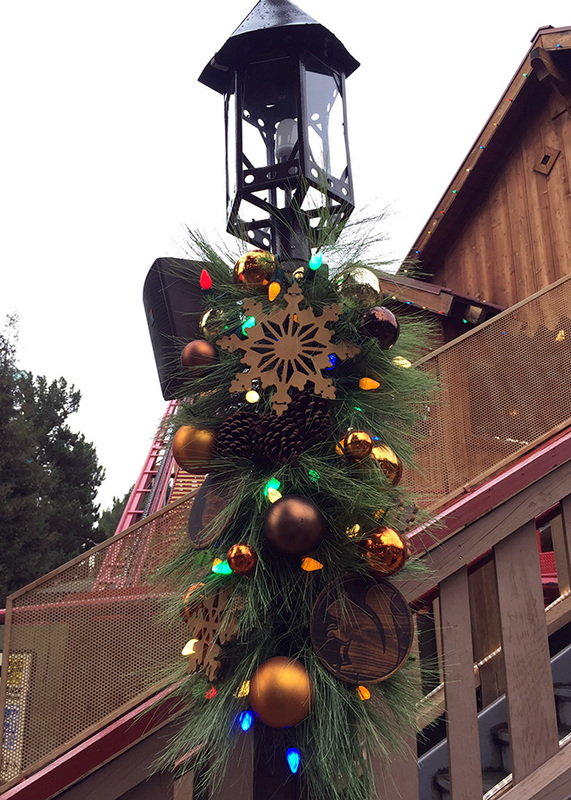 Knott’s Merry Farm runs until January 8, 2017. 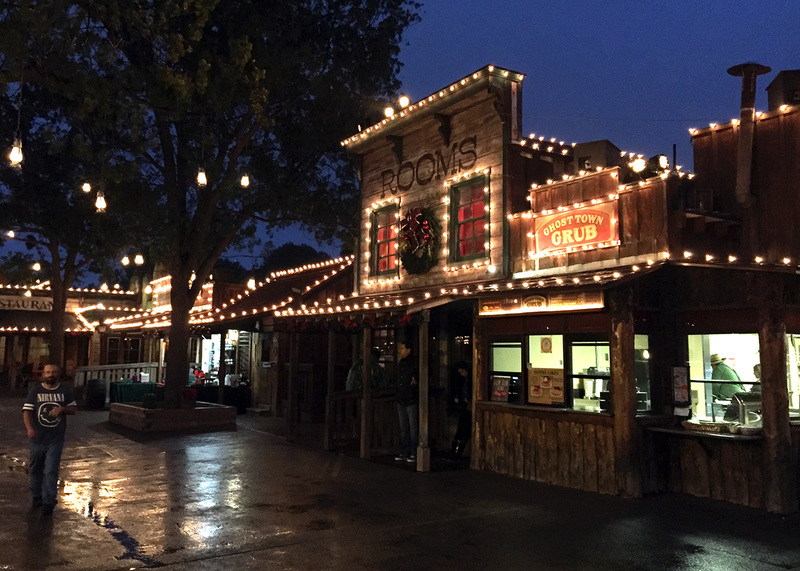 You can find ticket information and park hours of operation at their official website.